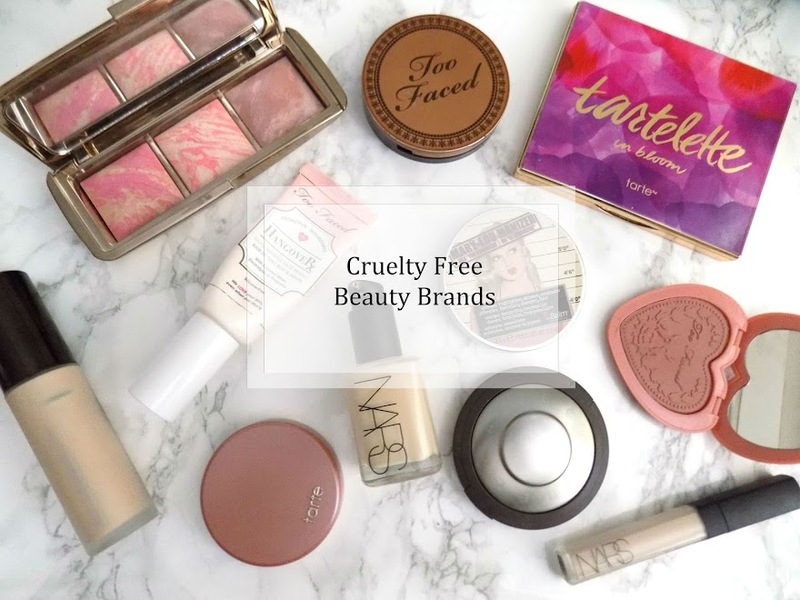 It's Blogtober day 26 and we are so close to the end of the month. 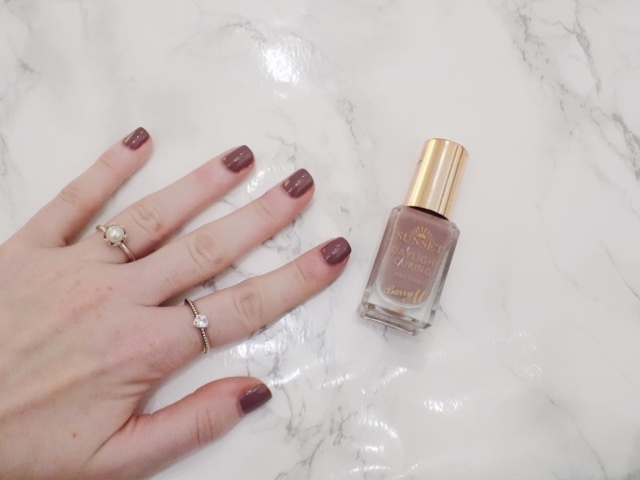 I've been uploading quite a few nail posts recently so I hope you have been liking them. 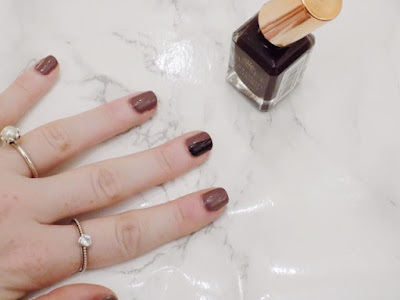 Today is a really simple design which comes with so many colour combinations that I am really keen to try - It may also look really cool with a matte polish and a regular formula or even a glittery effect. 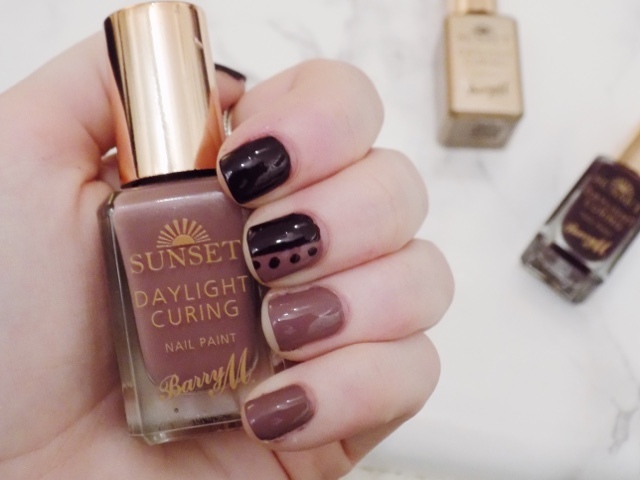 Paint your nails with your base colour (Barry M Sunset Daylight Curing in Dark Side of the Shroom) and let dry completely. Step 2: Apply tape across one half of your nail - you can choose whichever nail you like, I chose the middle so it was half one shade and half the other. 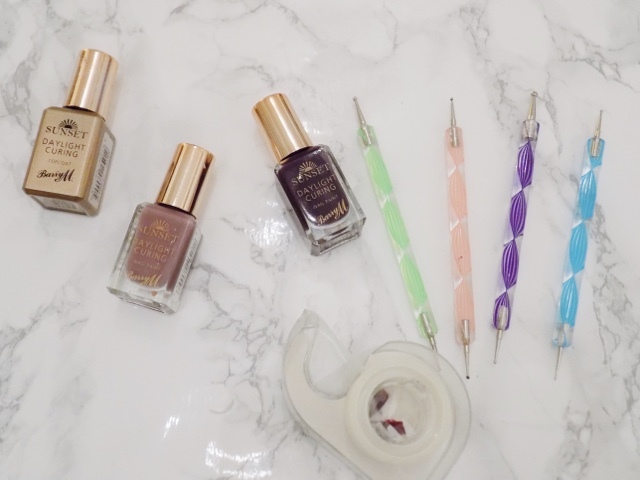 Make sure there are no bumps or air bubbles and that the tape is completely flat to your nail. Step 3: Using your darker shade (Barry M Sunset Daylight Curing in Plum on Baby) apply to the side of the nail that doesn't have the tape on. 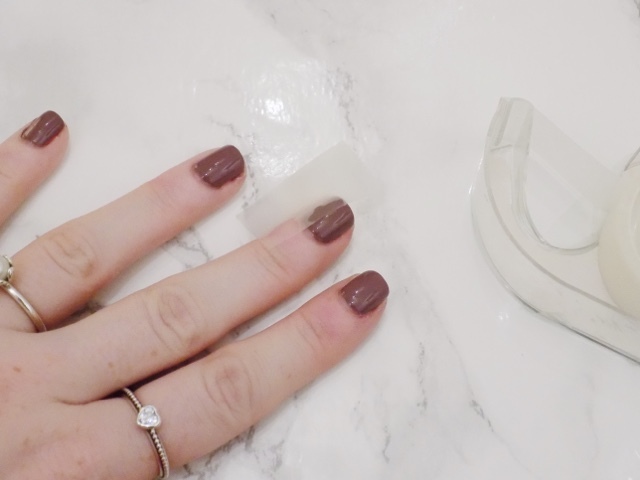 Step 4: Immediately remove the tape whilst the polish is still wet - this prevents any bleeding or seeping under the tape and makes it easier to remove. 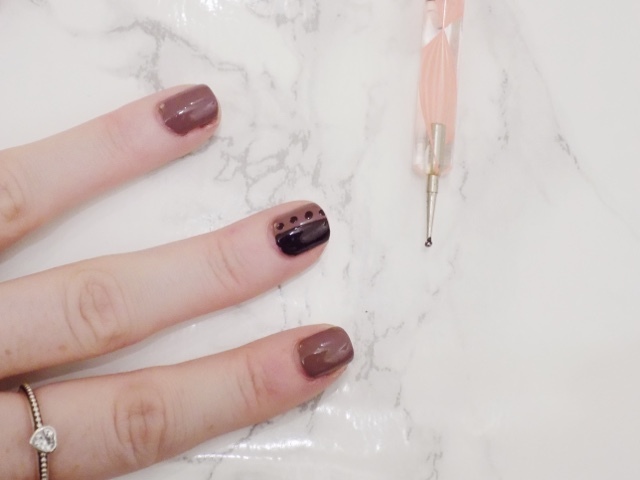 Step 5: Using a dotting tool apply 3 dots with the dark polish on to the side with the lighter shade. 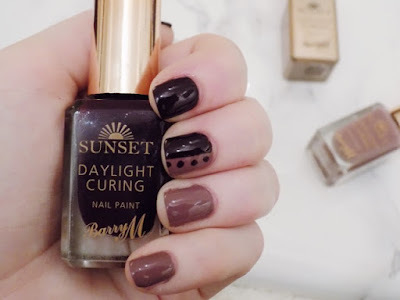 Step 6: Once completely dry apply a top coat to seal in your design and make your nails super shiny - I used the Barry M Sunset Daylight Curing Top Coat but the Seche Vite Fast Dry Top Coat is fantastic if you're using regular nail polishes. I hope you liked this nail design. It was inspired by Coffee Break With Dani on YouTube as I saw her nails with this design but with a light pink and lavender purple and just had to try and recreate it and I really like how it looks and will be trying lots more different colour combos so head over to my Instagram where as I post on their every day too. Happy Monday. 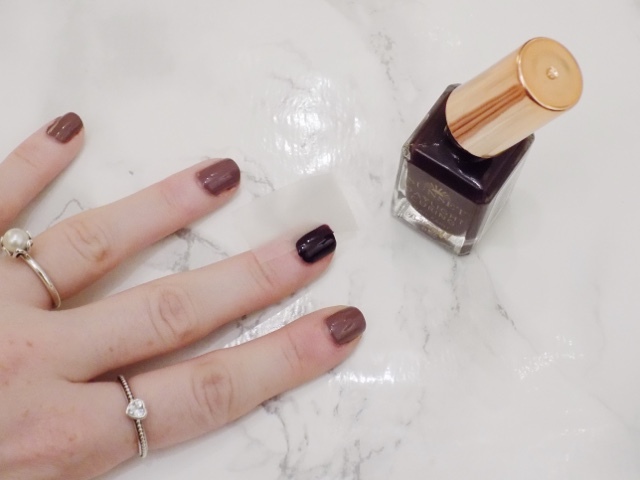 What's your favourite Autumn 2015 polishes?